Over the past couple of years, I’ve done acupuncture several times for anxiety and insomnia. It’s extraordinarily effective. But we always seem to move after a couple of treatments. Not strange; we move a lot. But acupuncture is most effective when you have several treatments close together to deal with the acute problem, and then taper off slowly to ensure long-term effectiveness. So this has become yet another plus side to living somewhere for more than a few consecutive months. For my latest foray into acupuncture, I looked up providers covered by my insurance. There were two within 100 miles of my house. One 45 minutes away, and one an hour and 45 minutes away. So I picked the one that was 45 minutes away (toward downtown Orlando). It was totally worth the drive, especially since our insurance paid the whole thing, even covering the copay. I spent a couple of months going to my acupuncturist twice a week, and then once a week. The difference in how I felt was apparent immediately. The obsessive worrying, anxiety, and resultant irritability and inability to concentrate were gone. It was like the constant static in my head had been suddenly turned off. The insomnia took a little longer, but it eventually went away too. By the time I went out to California last July, I was feeling lots better. When I came back and started my job, though, I couldn’t keep going to acupuncture. I work in Palm Coast, which is an hour north of where we live, and my acupuncturist was 45 minutes south. It was logistically impossible. This didn’t matter for the first couple of months, because I was still feeling pretty good. However, eventually I started to feel the anxiety creeping up on me again. It wasn’t as bad as before. Yet. I could still sleep at night. But I knew I needed to hunt down an acupuncture solution. To make matters worse, we were switching insurance, and our new insurance didn’t cover acupuncture at all. I didn’t know how I was going to afford it without insurance coverage. 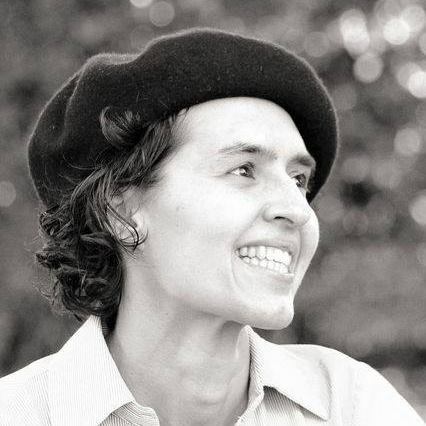 Enter the blissfully beautiful idea of community acupuncture. Acupuncture in the United States has traditionally been a sort of high-end boutique alternative medical treatment, performed in private, hour-long sessions that cost you $75 to $100 and/or your insurance $300. Several years ago, an acupuncturist clinic in Portland, Oregon had the idea of treating people in recliners in one big communal room so they could charge less and make acupuncture available to anyone who needed it. They called the idea “Community Acupuncture” and offered a sliding payment scale of $15-$35 per treatment. It turned out to be wildly successful, with the increase in clientele more than making up for revenue lost by lowering the price. The idea caught on, and now there are Community Acupuncture clinics all over the United States, and abroad. 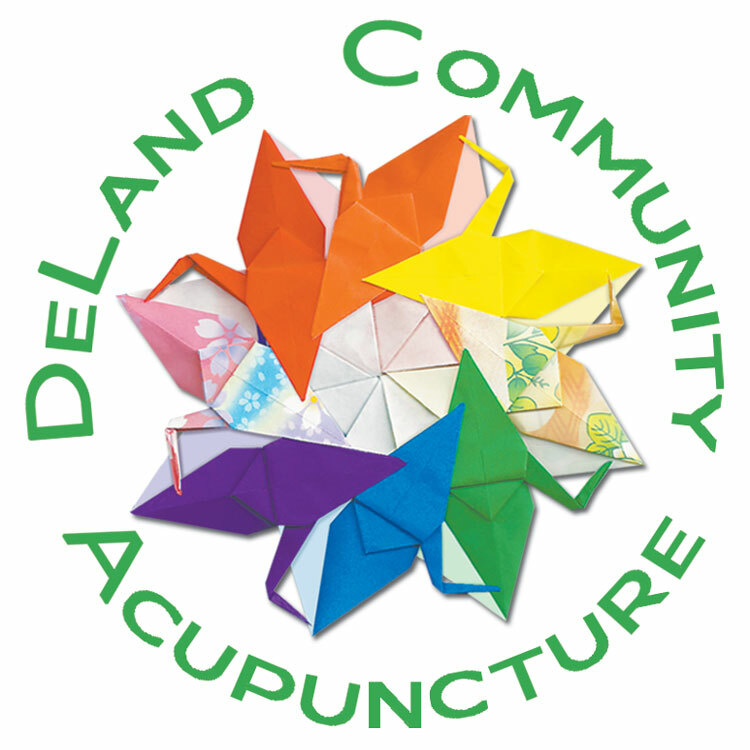 Ours is called Deland Community Acupuncture. I’ve been going once a week for several months now, and it’s absolute bliss. MacKenzie, my acupuncturist, is also very artistic, so her clinic, decorated in vibrant greens, is like a mini Zen-retreat, complete with music, white noise machines, and at least 1000 paper cranes. My stress levels drop the moment I walk in the door. As well as anxiety, depression, and other psychological complaints, she says she treats a lot of back pain and other chronic pain issues. It’s a very non-invasive way of treating these types of conditions (the needles are no big deal, I promise! ), and most people, including me, fall asleep during treatment. And the only side effects I’ve noticed are improved digestion and a general feeling of well-being. So if you deal with a chronic health issue and would like another effective and inexpensive treatment option (it works fine in conjunction with other “natural” or conventional treatments), go ahead and check out Community Acupuncture. And if you live near me, I’d love to introduce you to MacKenzie! And no, she didn’t pay me to write this. I’m just a very happy client, and I think everyone should have a chance to give acupuncture a try. Thanks for sharing this. Sounds great! !